Cesar Sayoc, the man behind a campaign of letter bombs targeting prominent Democrats, including former President Barack Obama, pleaded guilty to 65 counts in Manhattan federal court on Thursday. Federal prosecutors more than doubled the number of charges immediately prior to the plea hearing. 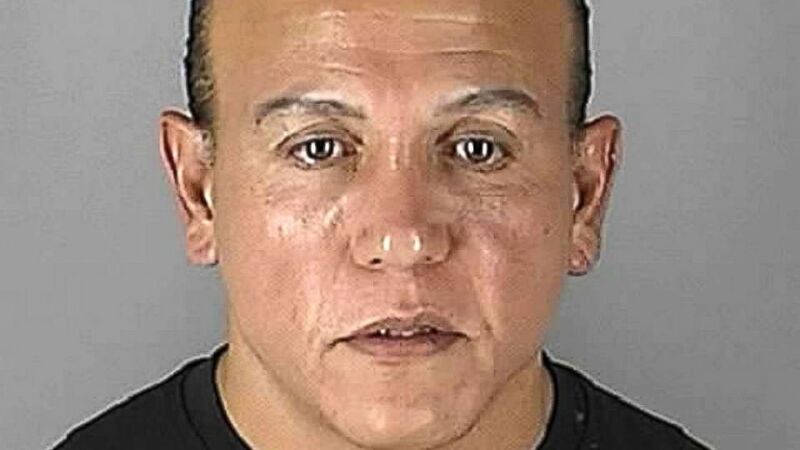 Sayoc, of Aventura, Florida, was arrested in October after mass-mailing explosive devices to top Democrats, CNN and other prominent figures. 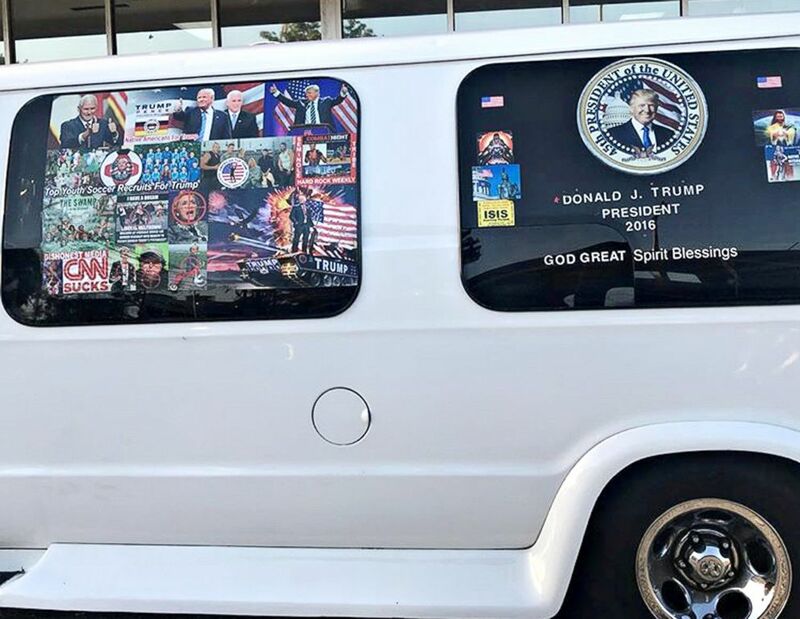 (Geo Rodriguez/Reuters) A van with windows covered in pro-Trump and anti-Democrat stickers, which was taken into custody on Oct. 26, 2018, during an investigation into a series of parcel bombs, is seen in Hollywood, Fla. on April 6, 2018. He pleaded guilty to four sets of charges related to all 16 IEDs. Officials said Sayoc packed each IED with explosive material and glass shards that would function as shrapnel if the IED exploded. In court, Sayoc indicated he did not mean to injure anyone but acknowledged the devices would have detonated. Sayoc attached a picture of the intended victim marked with a red “X” outside each IED. Days after the first package was delivered, FBI investigators found a latent fingerprint from an envelope mailed to Democratic California Congresswoman Maxine Waters. The fingerprint belonged to Sayoc, FBI Director Chris Wray said in October. Also among those to receive packages were Obama, former Vice President Joe Biden, former secretary of state and presidential candidate Hillary Clinton, Democratic Sens. Kamala Harris of California and Cory Booker of New Jersey. Between Oct. 22 and Nov. 2, 2018, the FBI and the U.S. Postal Service recovered all of the 16 IEDs. The FBI arrested Sayoc in Plantation, Florida, on Oct. 26, 2018, less than five days after the Oct. 22 recover of the first IED, which he mailed to George Soros in New York. The FBI seized a laptop from Sayoc’s van, which contained lists of physical addresses that match many of the labels on the envelopes that he mailed. (Hennepin County Sheriff’s Office/Reuters) Cesar Altieri Sayoc appears in Minneapolis, Minnesota, Aug. 31, 2005, in this booking photo. The lists were saved at a file path on the laptop that includes a variant of Sayoc’s first name: “Users/Ceasar/Documents.” A document from that path, titled “Debbie W.docx” and bearing a creation date of July 26, 2018, contained repeated copies of an address for “Debbie W. Schultz” in Sunrise, Florida, that is nearly identical, except for typographical errors, to the return address that Sayoc used on the packages. Similar documents bearing file titles that include the name “Debbie,” and creation dates of Sept. 22, 2018, contain exact matches of the return address used by Sayoc on the 16 envelopes. The laptop also revealed extensive Internet search history related to his investigation of the intended victims and his desire to injure or kill them. “Sayoc’s crimes were intended to incite fear among his targets and uncertainty among the general public, leading to a significant deployment of various law enforcement resources in a nationwide search to find him,” said FBI Assistant Director William F. Sweeney Jr.
Sayoc faces a maximum sentence of life in prison. His sentencing was set for Sept. 12.